The Tupolev Tu-22, a supersonic bomber, flying over the Engels Air Force base, Saratov Region. During the course of INNOPROM, India’s Defence Ministry has indicated it is looking to buy four strategic bombers from Russia and a host of other high-tech weaponry, besides stepping up co-production under the ‘Make in India’ programme. 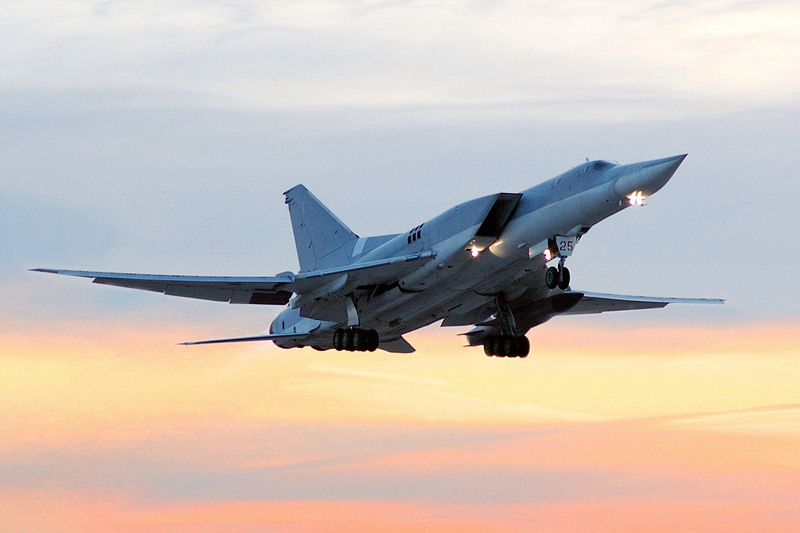 India’s Ministry of Defence has sought to buy four strategic Tu-22M3 bombers and other latest high-tech weaponry from Russia, Interfax reported. This was expressed in the official stand of the ‘Make in India’ Programme at the INNOPROM International Industrial Exhibition in Yekaterinburg. Interfax reported that, in addition to the bombers, the Indian Air Force is also seeking to purchase 80 Mi-17 helicopters and six Il-76 airplanes, in which the Israeli radar system, the ‘Falcon,’ can be installed. The Indian Defence Ministry is also keen to acquire modern missile systems, and would like to buy twelve S-400 ‘Triumf’ anti-aircraft missile systems. At the official ‘Make in India’ stand, officials indicated a desire to lease two nuclear submarines of the Akula-2 (‘Akula’ means Shark) class, with the option to purchase them after the completion of their lease terms. RIA Novosti had earlier reported that Russia would soon be able to deliver a second nuclear submarine of the Project 971 Shchuka-B (‘Schuka’ means pike) to India, after the relevant contract is signed.The first such submarine, named the ‘Chakra’, was delivered to the Indian Navy under lease in 2012. At the Indian stand in the Yekaterinburg exhibition, officials said India was planning to produce over 1,000 T-90S tanks and 200 Ka-226 helicopters under the ‘Make in India’ programme. The BrahMos cruise missiles, which are being developed in India with the participation of the Russian company NPO Mashinostroyeniya, are currently being successfully tested. The export version of the Russian anti-ship missile P-800 Oniks – the ‘Yakhont’ – has been used as the base to develop the new missile.